The remarks were controversial, probably because Smith deflated the archetype of the New York denizen that she embodies. Her career is a sort of downtown fairy tale: The creative misfit leaves the provinces, dives into an edgy, affordable bohemia, struggles for years, and makes a name for herself beyond institutional norms and with artistic integrity intact. This partly accounts for the popularity of Smith’s nuanced memoirs, Just Kids (2009) and The M Train (2015), as well as the nostalgia boom around New York City in the 1970s — in TV series like Vinyl (2016) and The Get Down (2017), in urban studies like Ladies and Gentlemen, The Bronx is Burning (2006) and Fear City (2017), novels like Let the Great World Spin (2009) and City on Fire (2015), as well as conferences, film festivals and art exhibits. 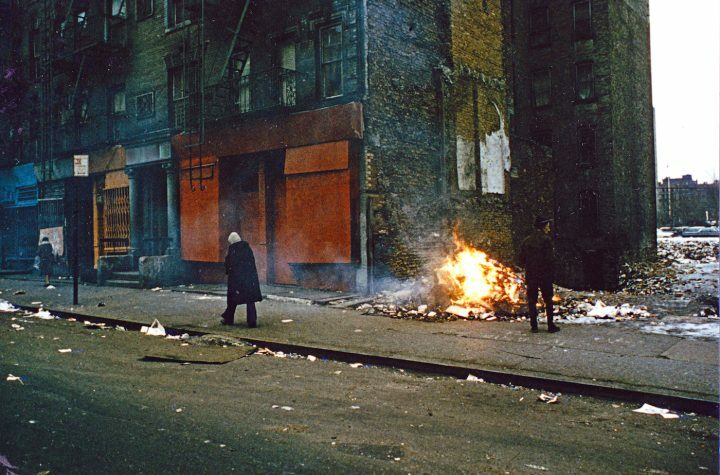 “Gritty” and “real” are the commonplace adjectives applied to New York City in the 1970s. If we accept that premise, what, by comparison, is “unreal” about contemporary New York? One answer is that the number of millionaires who live here has increased exponentially. As a result, their priorities have reshaped the city. Factor in a corporate-centered homogenization of economic life enabled by a city government that duplicates national and state tax policies favorable to private equity and real estate speculation. Such civic resignation was not always the norm. Once upon a time, in a “grittier” New York, residents took to the streets and took over buildings to reclaim the city for themselves. 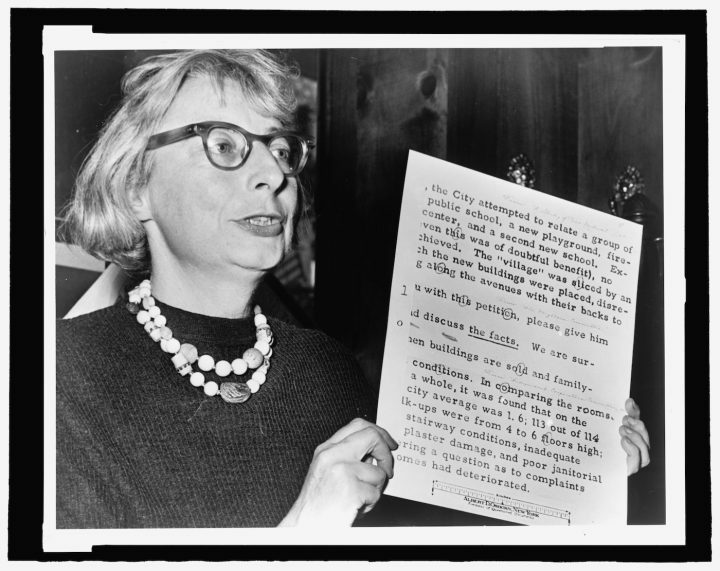 The heroine of Citizen Jane is Jane Jacobs, the social philosopher and urban theorist who articulated human-centered, pragmatic approaches to sustaining neighborhoods so that they operate as well-trafficked egalitarian spaces. Jacobs was born in Scranton, Pennsylvania, in 1916. She was a restless and driven student disinclined to accepting academic generalizations. Inquisitiveness and attentiveness to concrete detail were her twin attributes. In Jane Jacobs: The Last Interview and Other Conversations (Melville House, 2016) Jacobs recalls studying how the tools, machines, and locomotives in her native Pennsylvania “were painted in a way to show how [their components] worked.” In 1934 Jacobs followed her sister’s example and moved to New York City. There she worked as a feature writer for the Office of War Information and the State Department before becoming a freelance journalist and striving polymath, taking classes at Columbia University’s School of General Studies while publishing features about New York City’s residential and commercial life in the Herald Tribune, Vogue, and Architectural Forum. After witnessing the exacerbation of social problems caused by new, large-scale developments in Society Hill in Philadelphia and East Harlem in New York, she turned against the urban renewal schemes that were steamrolling cities. In The Death and Life of Great American Cities (1961) and subsequent books, Jacobs defines the “organized complexity” and “intricate order” of cities, tracking pedestrian tendencies, itinerant crowds, workaday routines, and shopping and socializing habits throughout the daytime and nighttime hours in robust districts and neighborhoods. Her exhaustive, well-informed attentiveness has a political mission. It debunks drafting-table simplifications concocted by urban planners — in her time, these planners were mostly well-heeled white men — who view the city negatively from above. To them, it is a place scarred by slums and blight, remediable only through razing and modernization. Against this diagnosis, Jacobs argues that a city’s innate resistance to logic and predictability requires that planners turn to present-day, real-world successes, and to study them as the only legitimate grounds on which to encourage the regeneration of distressed neighborhoods. Jacobs traces how this decentering of cities also informs the Modernist architect Le Corbusier’s ideals for a purified, slum-free urban plan developed in the 1920s. Having surveyed Paris from an airplane, Le Corbusier created his “Radiant City” prototype for buildings that envisioned a “vertical garden city” consisting of “skyscrapers within a park” housing “1,100 inhabitants to an acre” infused with highways, superblocks and one-way arterial roads instead of customary footpaths, intersections, and cross streets. Throughout Citizen Jane, experts echo Jacobs’ insight that this “superblock” Modernism took off like wildfire in postwar United States urban development and ruined cities, producing an epidemic of isolated high-rises that worsened the social ills they purported to cure. These behemoths destroyed the city’s fabric, superimposing sprawling expressways, gargantuan civic centers, insular public housing projects, boxy office buildings, and soaring cruciform residential towers upon its once interconnected networks. 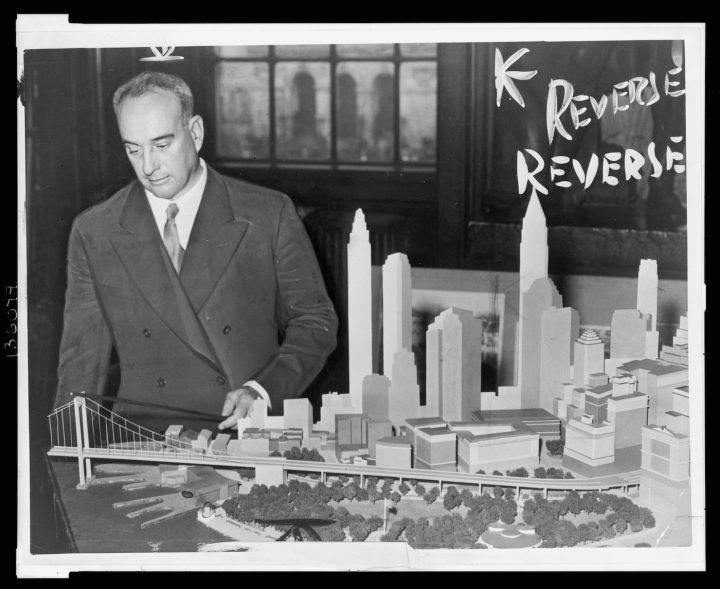 The power broker Robert Moses is the Darth Vader of Citizen Jane. Against the grain of past documentaries, in which Moses is framed as a hard-charging champion of the new middle-class for whom he constructed parks, beaches, bridges, and tunnels, Citizen Jane spotlights the despotic, late-period Moses in his capacity as New York State Parks Commissioner and as New York City’s Construction Coordinator, bankrolled by an endless stream of federal and state money, much of it serving the needs of the booming automobile industry. The Robert Moses of Citizen Jane is a crypto-fascist who singlehandedly condemns entire New York City neighborhoods to the bulldozer, declaring you “have to move people out of the way” because such “ill informed” residents are part of a “cancerous growth that has to be carved out.” Under Moses’ supervision, thousands of tenements were razed. To make room for an expressway that took 17 years to excavate, the Bronx was cut in half, atomizing neighborhoods, causing an exodus of the population, a free-fall in property values, and widespread incineration. The Cross Bronx Expressway instantly turned into the congested traffic debacle it remains. In Citizen Jane, such cringe-inducing missteps by Moses pile up, spread, and continue to this day. One commentator warns that “China is Moses on steroids.” There are also chilling scenes of the mindset’s monumental failures: the controlled demolitions of massive Moses-era housing projects that took place in cities across the United States throughout the 1990s. As ruthless as Moses was, he did not always get his way. When he proposed extending Fifth Avenue through Washington Square Park in the late 1950s, Greenwich Village residents, including a young Edward I. Koch, protested. Jane Jacobs was their strategist and public spokesperson. That victory was followed in the early 1960s by opposition to Moses’ proposed construction of a Lower Manhattan Expressway that would have plowed through Chinatown, Little Italy and Soho, effectively displacing thousands of residents and scores of businesses, and suffocating the community. Jacobs, by then a longtime Greenwich Village homeowner, was focusing on new writing projects and reluctant to be thrown back into the public spotlight. Allied with longtime local residents led by Father Gerard LaMountain of Most Holy Crucifix Church on Broome Street, Jacobs and the other activists thwarted the project, though it kept rising from the grave throughout the decade, with Moses as a kind of smoke-filled backroom Dracula, until Mayor John Lindsay drove a stake through his heart, firing him in 1970. The defeat of the Lower Manhattan Expressway is why Soho as a flourishing artists’ community happened. In less dramatic terms than Citizen Jane, Princeton scholar Aaron Shkuda’s The Lofts of Soho: Gentrification, Art and Industry in New York 1950-1980 (University of Chicago Press, 2016) examines the tangled commercial, governmental and artistic forces that sought to remake the area south of Houston Street and north of Canal Street. 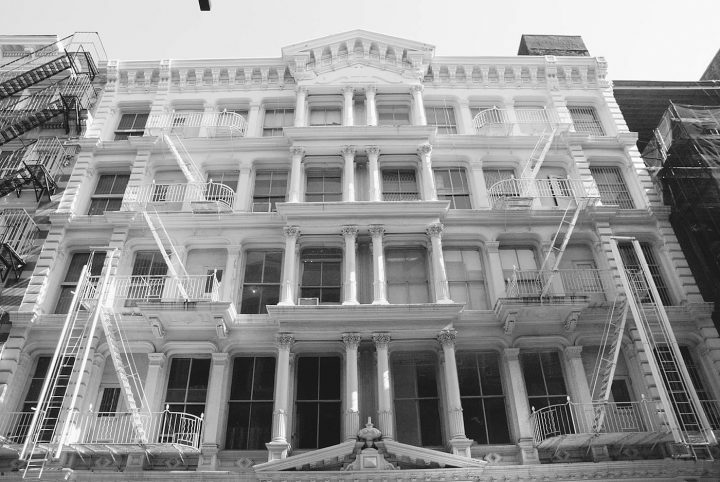 The mixed primary uses (residential, retail, industrial) as well as adaptive reuses, long championed by Jane Jacobs, shaped present-day Soho’s existence. Against the conventional wisdom characterizing artists as trailblazers who become unwitting victims of New York City’s brutalizing real estate market, Shkuda’s work offers a more ambiguous narrative. The neighborhood south of Houston Street originated as a mid-19th century precursor to Times Square, with hotels and high-end shops close by theaters, casinos and brothels. During the Gilded Age of the late 19th century, the district’s world-famous cast iron construction was a prefabricated imitation of earlier French Renaissance and Italianate styles. By the early 20th century, it was a center for “light industrial enterprises, garment manufacturers, waste recyclers and warehousing concerns,” augmented in subsequent decades with storage and printing operations, which, by the 1960s, employed outer-borough workers, especially African-Americans and Puerto Ricans — a thriving commercial neighborhood by almost any standard with “an average of 3, 500 trucks” entering and leaving each day. Reinforcing Jacobs’ proposition that urban planners ignore positive conditions that prevail within a city neighborhood, Shkuda explains how, in the 1960s, Robert Moses, in league with land-hungry New York University, deemed the area south of Houston Street a “commercial slum” that needed to be cleared for demolition and renewal, a thesis codified in The Wastelands of New York City (1962) published by the City Club of New York and endorsed by the powerful City Planning Commission. 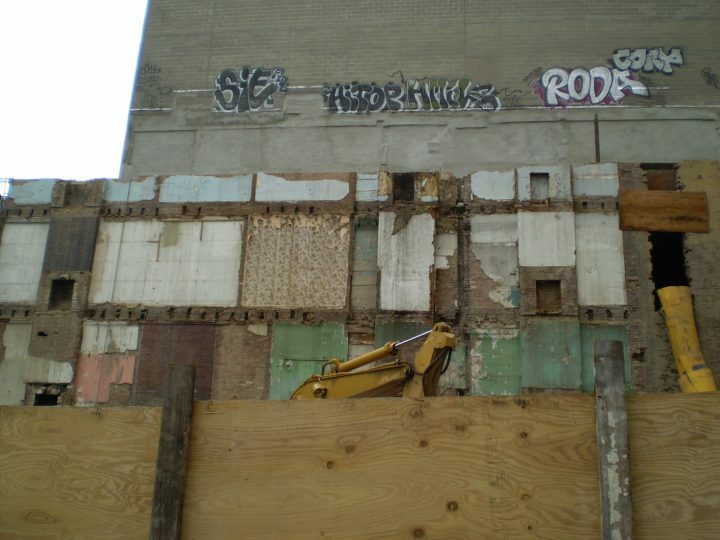 The neighborhood was earmarked for razing in order to build the Lower Manhattan Expressway. As Shkuda explains, the expressway project, combined with diminishing industrial occupancies, deflated the value of the area’s buildings. Desperate landlords began to rent “work space” lofts to artists whom these owners knew were covert, full-time residents. Shkuda’s study falters here and there regarding the history of downtown artists. Its titular premise implies that loft living by artists originated in Soho. But long before there was a “Soho,” artists had been renovating and living in lofts on the Lower East Side and Chelsea as early as the 1930s. Still, Shkuda’s copious research – complete with statistical tables, legal accounts, and firsthand interviews with dozens of the area’s first resident artists — produces a multifarious story. If there are heroes, they are the artists who, sacrificing anything resembling security and at great physical risk, remade lofts into homes during the neighborhood’s inhospitable era of the early 1960s. Sculptors like Mark di Suvero and Donald Judd were drawn to the expansiveness of the loft spaces. Many such pioneers, like Romare Bearden, were eventually evicted. Shkuda’s cast is a motley assortment of city bureaucrats, manufacturers, land owners, artists, labor leaders, preservationists, urban planners, and art dealers. In the late 1960s and through the 1970s, the same hard-pressed building owners who looked the other way as artists became full-time residents of their loft-studios, would just as frequently turn against them for profit or to avoid city inspectors, fines, or tax liens. To further complicate matters, struggling small industries aligned with resident artists when landlords, cashing in on the neighborhood’s cache, began pushing them out in favor of more affluent tenants. On occasion, financially successful artists (along with affluent non-artists and/or art dealers) made strange bedfellows with owners against certain manufacturers. Throughout the 1970s, the nearly bankrupt city, enduring fiscal crises and commercial vacancies, sought to revise commercial and residential regulations of the lofts in lower Manhattan. The regulations, however, remained murky and tangled well into the early 1980s. 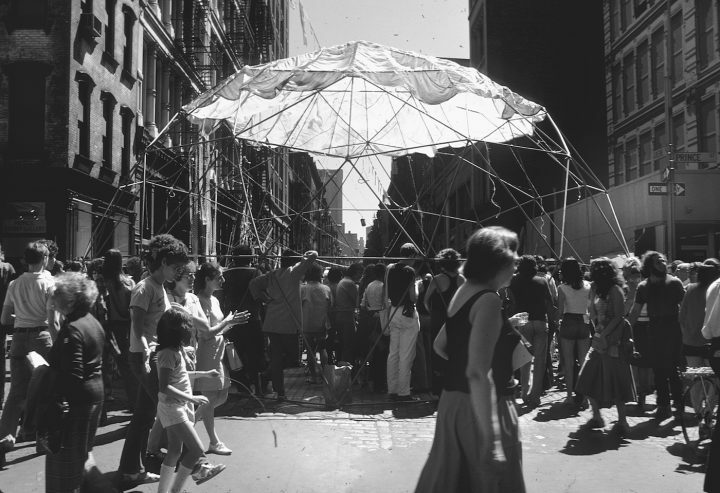 Art dealers like Paula Cooper, Richard Feigen, and Betty Cuningham were among the first to open galleries in what by 1970 was officially known as “Soho,” (South of Houston Street). More gallery owners followed. By 1975, more than fifty galleries had opened. The industrial aesthetic of renovated lofts led to a brand new market that commoditized the artist’s practices into an urban look available to anyone who could afford it. 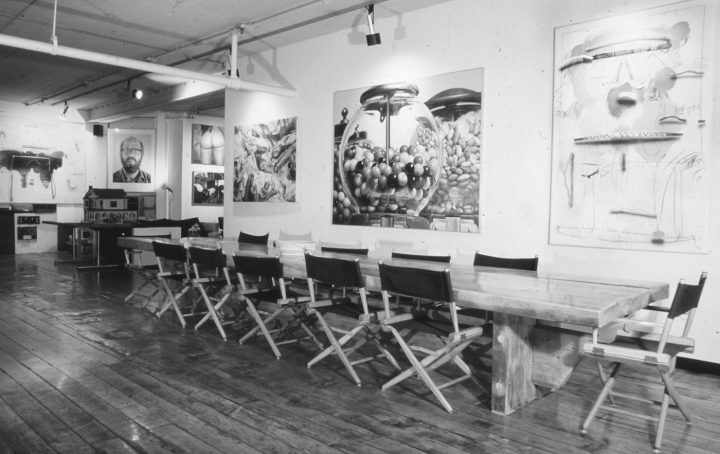 Soho gave birth to gourmet shops, specialized clothing and furnishing retailers, and restaurants like Tamala, Allsteel, Dean & DeLuca, and Food, some of which were run by entrepreneurs with art-world backgrounds, or in the case of Food, by artists themselves. Lifestyle feature writers and real estate speculators further publicized the place. But is Soho a “success”? 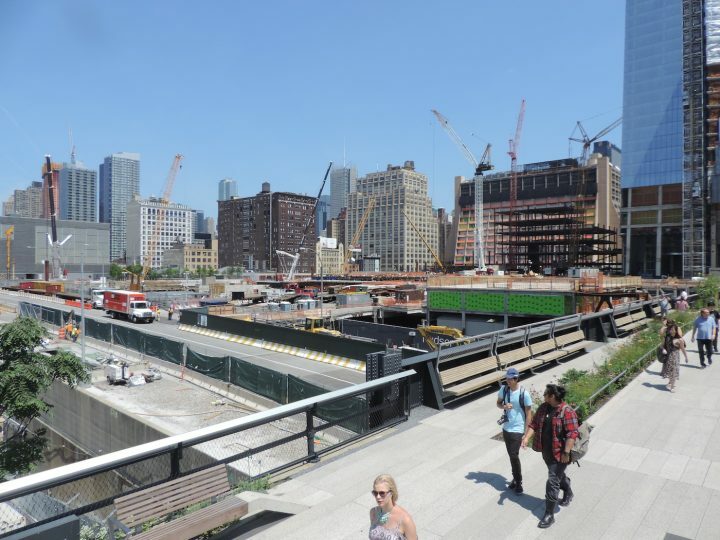 One could argue that the neighborhood became the model for a luxury-ghetto paradigm that has been replicated on the Bowery, and in the adjoining neighborhoods of Nolita, and Tribeca, transforming downtown New York into a glitzy outdoor shopping mall peppered with high-end eateries. The question comes back to who the city is for. Or, as Jacobs puts it, “Cities have the capability of providing something for everybody, only because, and only when, they are created by everybody.” Today, the measure of “success” in urban development should be the rate at which democracy rather than money predominates in determining what a city is and what it should become. Activist groups around New York meet on a regular basis to insist on this. But mainstream newspaper accounts cynically reduce real estate coverage to tales about treasure hunts by a lucky few. Almost ten years ago, I watched a tenement that housed a popular local bar as it was razed on a busy East Village corner. The tenement’s retaining wall revealed centuries of colorful wallpaper and scarred brick zigzags where the stairwell used to be. I wondered what was going up in its place. And who decided it would. And who encouraged it. For well over three years, as the new building was constructed, I navigated a detour familiar to anyone walking in Manhattan. The sidewalk was sealed off. Pedestrians were diverted into a treacherous, plywood-paneled tunnel manned by a few, half-dozing workers. When the massive condominium was finally finished, its façade imitated the look of a 19th-century industrial building, the kind that Arshile Gorky and Willem de Kooning once renovated so they could make art in that same neighborhood — the very sort of structure that Robert Moses and his ilk once despised and targeted for “renewal.” Five years ago, when it opened, the most affordable apartments were listed at $3200 per month. It went without saying, and bears repeating: artists need not apply.